Mother’s Day only comes once each year, but that doesn’t mean the gift has to. You can show mom you love her all year long with these great subscription box gift ideas. Just like most moms, I tend to put myself last. With the hustle and bustle of everyday life, I sometimes don’t have time to shower let alone find the time to shop or pamper myself. That’s why I love subscription boxes. They’re the perfect way to give moms a special treat just for them each month. No matter what you or your mom are into, there’s a subscription box out there that will be sure to satisfy. Taste Trunk is for the mom that loves food. The specially curated boxes are filled with gourmet one-of-a-kind goodies. From their Death By Chocolate box in their Sweet Tooth Collection, to their Gourmet Chef Trunk, there’s a trunk for any mom’s palate. You could also choose to create your own trunk with treats that mom will love. 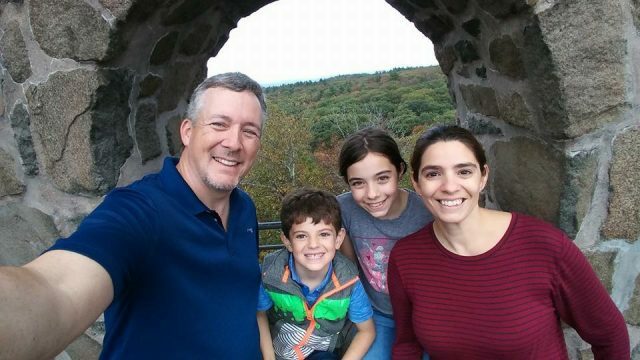 As a busy mom, the last thing I have time for is buying beauty products. With so many lotions and potions on the market, it’s hard to find one that’s just right without spending a ton of money. Ipsy gives subscribers a beauty bag filled with deluxe samples and full-sized products for only $10 a month. This box is also perfect for those moms who like to be on the cutting edge of the next beauty trends. If mom is training for the next runDisney race, she will love the RunnerBox. Each box includes everything she will need to up her fitness game. 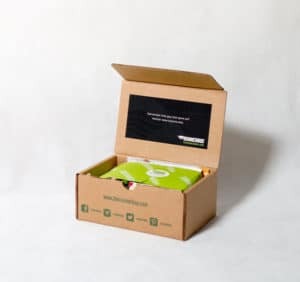 RunnerBox comes equipped with gels, chews, protein shakes/supplements, nutrition bars, energy boosters, healthy snacks, personal care, and other running accessories. Stitch Fix is a personal favorite of mine. I’m not a fan of shopping in stores and shopping online can be hit or miss. Stitch Fix gives you the best of both worlds. Either monthly, bimonthly or 3 times a year, your personal stylist will create and send looks based on your style profile. Keep what you like and send back the rest. I love being able to shop from the comfort of my own home. Plus I get to see which pieces go with the items I already have. Use my personal referral code, to have mom (or you) give Stitch Fix a try. 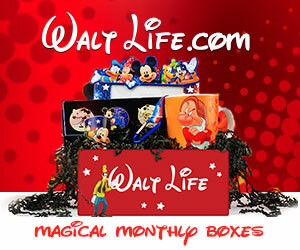 Give mom a monthly Disney fix with the Walt Life subscription box. Each month mystery boxes filled with Disney-themed goodies will arrive at her door. Items can include Disney Parks merchandise, coffee mugs, t-shirts, pins, snacks and much more. Boxes range in amount from $20.00- $48.00. Stitch Fix is my jam! So helpful to busy, working moms. This is such a great idea! I think my Mom would love it. Subscription boxes are perfect for any mom! 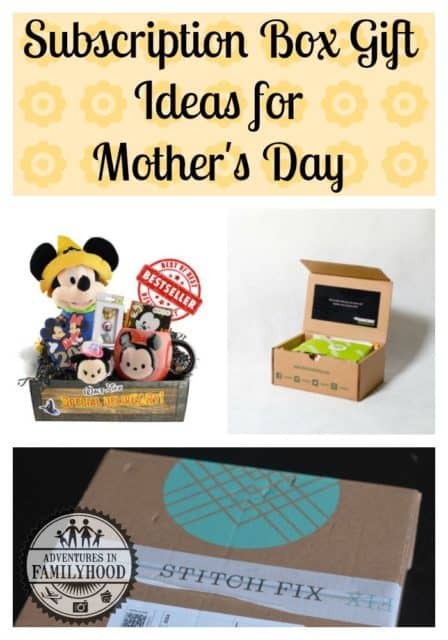 I LOVE the idea of a subscription box for Mother’s Day! Mom’s are often the worst at doing things for themselves, and these assure something special comes for her for a while to come! 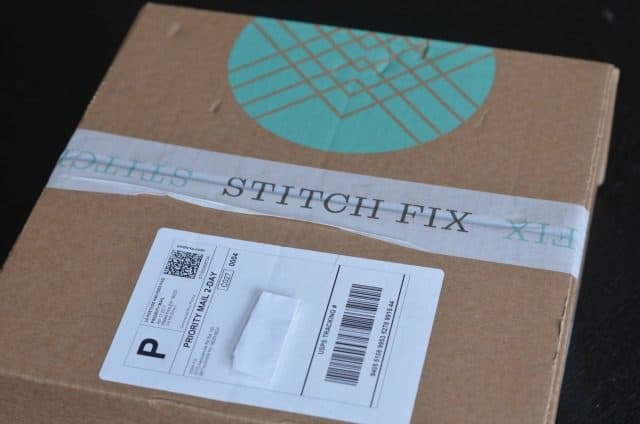 I’m a huge Stitch Fix fan too, but you found a few I hadn’t heard of. Great list!